Doug James is the President of Save Our Heroes and passionate about maintaining the integrity of the military judicial process. Doug has experienced first-hand how the military judicial system has bifurcated from Constitutional norms and is now a threat to National security. 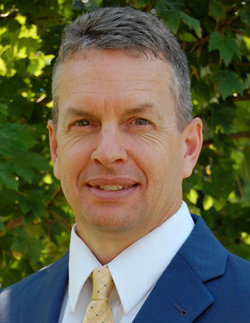 Doug graduated from Brigham Young University and has an MBA from Florida State University. After graduation, Doug went into the U.S. Air Force and flew the A-10 at RAF Bentwaters, UK, then the F-15C at both Eglin AFB, and Tyndall AFB, Florida. Doug transferred to the U.S. Air Force Reserves after joining a major airline in 2001. Doug worked for over 10 years at Headquarters Air Force, Pentagon, Washington, DC. During his time at the Pentagon, Doug managed the A-10, F-117, Unmanned Combat Air Vehicle (UCAV), and the Advanced Targeting Pod (ATP) programs. Doug also worked on the USAF’s Legislative Liaison Staff ensuring Congressional members understood the importance of Air Force programs. Just before retiring from the USAF, Doug was honored to be on the Senior Staffs at United States Central Command and USAF Pacific Command working for Generals Petraeus, Mattis, and Carlisle. Doug is a USAF Command Pilot with over 2,800 hours in fighter aircraft to include the A-10 and the F-15C. He has flown in support of Operations PROVIDE COMFORT, SOUTHERN WATCH and NORTHERN WATCH. Doug has made a lifelong goal to help build an organization to support those who have been falsely accused, change the military legal system, and finally hold those accountable for propagating a maligned judicial system. 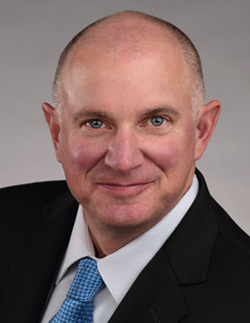 Doug is also President of Hound Strategic, Inc. Hound Strategic specializes in corporate strategic development, strategic implementation, operational perfection, and the ability to set a foundation for new areas of business. Lisa is a Retired Air Force MSgt whom honorably served for 20 years. Lisa is a survivor of sexual assault at age 17, prior to her military service. Because of the unfortunate circumstances surrounding her personal assault, Lisa volunteered as a Military Sexual Assault Victim Advocate for 4+ years. It wasn’t until after Lisa retired from the Air Force that she began passionately advocating to provide support for falsely accused or wrongfully convicted service members and their families. Save Our Heroes, became Lisa’s vision after her husband had been wrongfully convicted by the US Air Force in January 2015 for false allegations of sexual assault. Through Lisa’s hard work, dedication and the expert services of the civilian appellate council, her husband’s wrongful incarceration was overturned in July 2017. After personally witnessing the overzealous prosecutions of falsely accused service members and the lack of due process, Lisa has made it her life goal to ensure these injustices do not affect any other family the way it has her own. 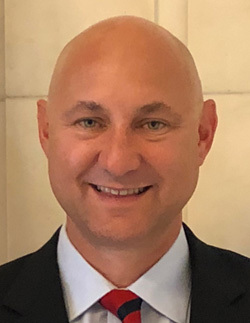 Arnie Dale is an A320 Airbus First Officer for a major airline and still participates in the Marine Corps Individual Reserve Support Program as a Readiness Support Program Officer in Charge of the San Antonio TX region. Arnie attended college at California State University Fullerton in Orange County California where he was born and raised. After earning his BA in Political Science, Arnie accepted a commission as a Marine Corps 2nd Lieutenant and was assigned to Marine Officer Basic School back at Quantico for six months of infantry officer training. Arnie started flight school in June 1997 in Pensacola Florida, and then transferred to Kingsville Texas for another year of jet flight training. Arnie earned his wings in April 1999 and selected AV-8B Harriers. Arnie transferred to Cherry Point North Carolina for initial Harrier training before being assigned to Yuma, Arizona for service in the operational Fleet Marine Force. While in Yuma, Arnie was assigned to Marine Attack Squadron 513, the “Flying Nightmares” and to Marine Attack Squadron 311, the “Tomcats”. Arnie served on two overseas deployments flying carrier-based combat missions in support of Operation Iraqi Freedom. In 1994, Arnie was pulled out of the cockpit for a year to study at Marine Expeditionary Warfare School in Quantico. After school, Arnie was fortunate enough to be selected as a Harrier Instructor Pilot at Marine Attack Training Squadron 203, the ”Hawks”, in Cherry Point. Arnie transferred to the Marine Corps Reserves after 13 years of active duty service and remained on as a Harrier Instructor pilot at Cherry Point for 3 years. During this period, Arnie earned his master’s in business administration (MBA) from Boston University. In 2012, Arnie transitioned his service as a reserve C-12 Huron pilot at MCAS New River. In 2014, Arnie was hired by a major airline as a pilot but was mobilized to deploy flying C12s in Afghanistan the same year. In 2017, Arnie relocated with his wife, Leanne, to Seal Beach California after being reassigned to Long Beach CA. While there, Arnie continued as a C-12 pilot with MCAS Miramar for a year before transferring to the Readiness Support Program in 2018 where he currently serves. Arnie decided to join Save Our Heroes because he knows those who serve are willing to sacrifice their lives for a higher calling. The least this country can do in return is treat them justly and honorably. Arnie’s wife, a licensed lawyer in California and North Carolina is also a volunteer at Save Our Heroes. 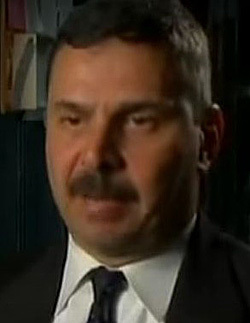 Michael ‘Mike’ Conzachi is an Army Infantry veteran of the 82nd Airborne Division and a retired tree-decade homicide detective from Southern California. Mike holds a bachelor’s degree in business & management and a college teaching credential. Mike was a police academy instructor for seven years. Mike has been at the forefront or directly involved in the formation of virtually every military advocacy group dealing with the current state of military justice dysfunction and enjoys an outstanding national reputation among many civilian defense attorneys specializing in military criminal defense. Mike’s experience is invaluable to Save Our Heroes while is his position as Director of Investigations. Mike understands the importance of credibility for the Save Our Heroes organization and because of this executes meticulous attention to detail to every investigation completed. Kit was a Distinguished Honor Graduate of the University of Nebraska and an honor graduate of the Naval War College with a Master’s degree in National Security. He is a dual Airline Transport Pilot, helicopter and fixed wing, with over 4000 hours in 17 different military and civilian aircraft. He is rated in most army helicopters and currently flies for a major airline. Kit was raised in an Air Force family on the front lines of the Cold War in Europe. Kit is an Eagle Scout and enlisted the Army Reserves when he was 17. He later received an Army scholarship and Regular Army commission. Kit served in the military for 30 years a Calvary Scout, Ranger, Signal Officer, and later as a Master Army Aviator and Apache helicopter pilot. After 9/11, he left a very successful civilian career and returned to active duty in order to defend his country. He completed three years of back to back combat tours on the ground and in the air, placing himself in harm’s way almost every day. He earned three Bronze Stars, an Air Medal, and the Combat Action Badge. Kit saw firsthand the recent politically motivated changes to the UCMJ while serving as an infantry battalion commander. Many of his veteran Soldiers had their families and their careers destroyed by false accusers attempting to acquire “victims” benefits. Kit later dealt with his own legal battle when false allegations turned a divorce into a nationally reported story of unlawful command influence and prosecutorial misconduct. After Kit’s own career was destroyed, he dedicated himself to re-balancing the UCMJ and supporting other veterans and their families in the quest for justice and fairness. Jennifer Norris is a Military Justice Policy Analyst with a master’s degree in Public Policy and Management and an undergraduate degree in social work and criminal justice. Jennifer served in the U.S. Air Force and worked as a satellite communications maintenance technician for a combat communication squadron. 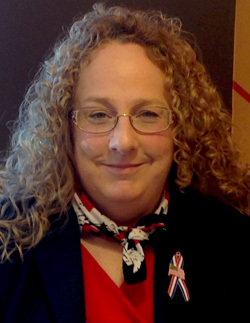 Jennifer was involuntarily retired in 2010 after fifteen years of service due to a PTSD diagnosis. Given her unique experience working in a mentally and physically demanding, male-dominated career field, and a marriage to a fellow service member, Jennifer uses these experiences to make positive changes for all service members. Jennifer is a military crime historian and has dedicated her life to analyzing the legal issues that negatively impact service members and their families in an effort to strengthen due process protections and save lives. Jennifer has a highly successful blog located at www.militaryjusticeforall.com. Jennifer social media expertise is invaluable in her position as Save Our Heroes Director of Social Media. 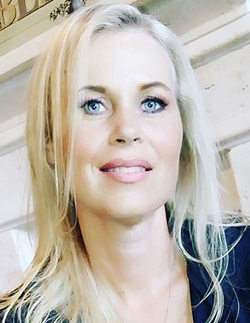 Lisa Roper has spent the last 20 years as a developer and is Vice President of Rinco of Texas, a real estate development company focused in the Texas Hill Country. Rinco has developed thousands of acres in the area surrounding Canyon Lake, Texas. Lisa’s experience and influence has led to advocating and facilitating relationships between non-profits, political campaigns, businesses and leaders across U.S.
Lisa has over 20 years of experience as a political fundraiser and activist for causes on the local, state, and federal levels. She has served as an officer for the National Federation of Republican Women holding the positions of Chairwoman of the Public Relations Committee, Vice Chairwoman of the Fundraising Committee, and served on the Executive Committee Board. Today, Lisa’s mission is to spend her time supporting causes that fight for the rights of military and veterans who need a voice. Her efforts include speaking to congress and political figures as well as changing policies that are unjust to those that have been falsely accused or serving time for undeserving crimes. Lisa is an advocate with passion and purpose for honorable heroes across the nation. Lisa recently lead a legal team to fight for a falsely accused service member who was ultimately exonerated of all charges. Her experience fighting for wrongfully convicted and knowledge of the political process made her a natural fit for her position on the Board of Save Our Heroes as the Director of Legislative Liaison. Lisa spends a great deal of time in her community volunteering and supporting local political figures and non-profits. Lisa also sits on the Board of Canyon Lake Animal Shelter Society, a no kill Shelter that provides shelter, care and adoption services for animals across the state. Lisa Roper is a force to be reckoned with as she continues to make her mark as a leader and a visionary for society and the less fortunate. Kathleen began her career in community mental health in 1991 when she volunteered as an on-call crisis counselor and victim advocate for a domestic violence sexual assault center. Kathleen went on to complete an associate degree in legal assistance and criminal justice, then a bachelor’s degree in criminology and psychology. 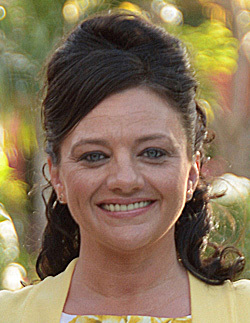 Kathleen later completed a master’s degree in community mental health. While working on her degrees, Kathleen served her community in both nonprofit and governmental agencies providing counseling, case management and advocacy to a wide variety of populations and age groups. Since 2009, Kathleen has served her local and national community by supporting military members, veterans and their families. She has extensive background in the field of trauma recovery and is very knowledgeable with the new innovative healing strategies. In addition to over 25 years of Community Mental Health experience, specializing in trauma and Veterans, Kathleen also brings extensive background in the nonprofit and governmental agency arena. This unique knowledge includes grant writing, program development and startups of non-profits such as equine and canine therapy assisted programs for Veterans and their families. Kathleen is well known in the media world and because of this has become of valued member of the Save Our Heroes Board as Director of Media Relations.